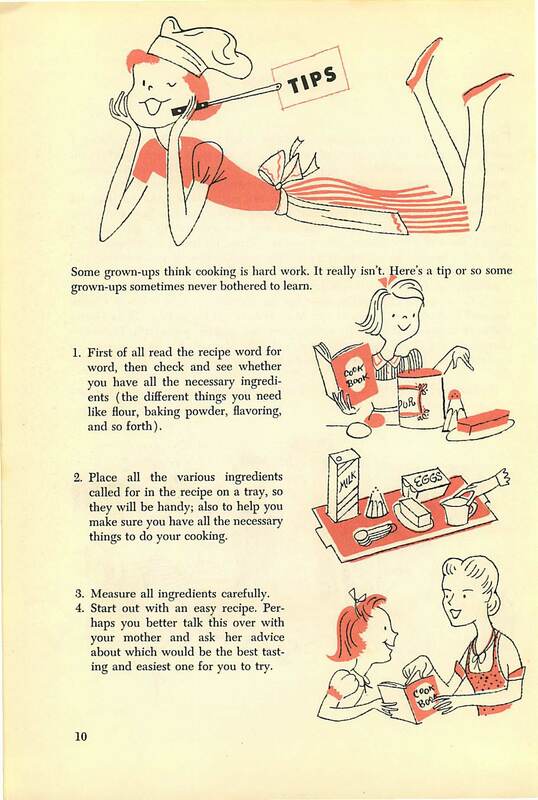 Julia Kiene’s book is loaded with tips for new little chefs. We will probably never load up a tray with all of the ingredients and utensils we’ll need for each cooking session, but we may at least clear off a little counter space to collect it. Some grown-ups think cooking is hard work. It really isn’t. Here’s a tip or so some grown-ups sometimes never bothered to learn. 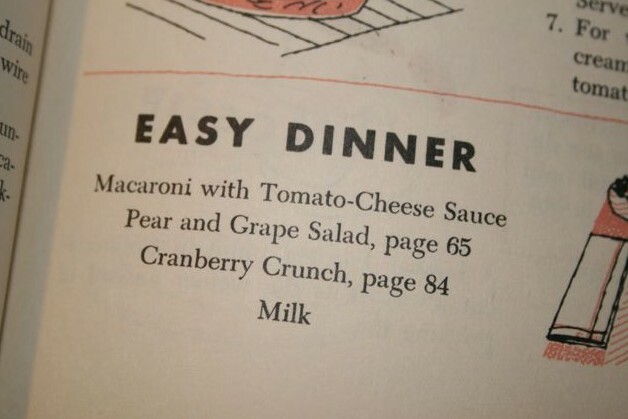 Our first recipes we chose to do were part of the “Easy Dinner” from page 41. Macaroni with Tomato-Cheese Sauce, Pear and Grape Salad and Cranberry Crunch. Half way through making the dinner part we decided to put off the Cranberry Crunch for another day. But that’s getting a little ahead of ourselves. We intend to update these recipes and make them for our family, so they have to be gluten and dairy free. Mom and little sister are allergic. The tomato sauce calls for tomato soup, which has wheat flour in it, so we read the side of the can and picked up a small can of tomato paste to use to make our own tomato sauce from scratch. Today we’re launching GroovyArtichokes.com and we’re really excited about it. 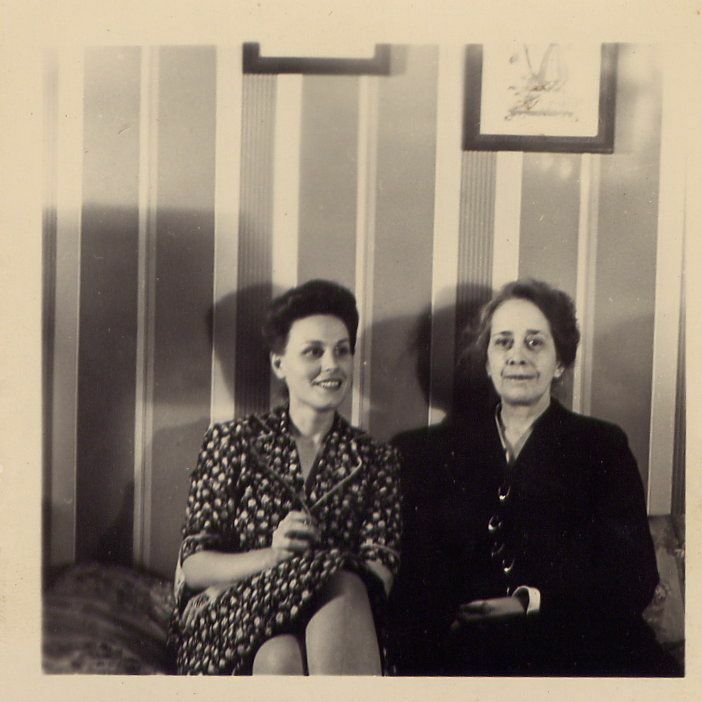 Bette and her mother, Julia Kiene, 1939. So here we are. Blog first, cook second.